Shawn and Laura are managing their forested backyard for wildlife habitat, biodiversity and enjoyment. Backyard woodlands can sustain thriving, diverse communities of plants and wildlife. Laura and Shawn Lewis selected their home in Ames for its proximity to campus and downtown, and the characteristics of the house itself–not for the wooded backyard. But they wanted to understand what was growing in their urban forest and how to manage it well, so they called an urban tree expert. “The arborist mostly looked at the trees right next to the house. 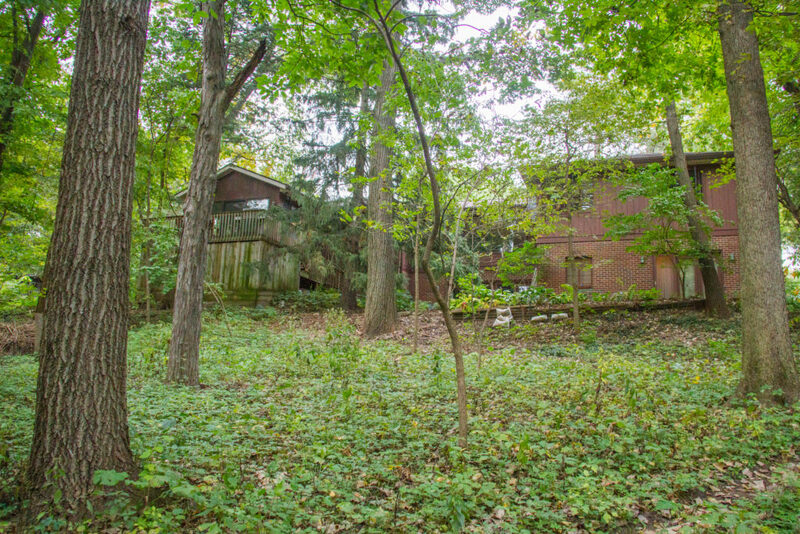 He wanted to trim them, cut them down, treat them, but didn’t look at what the whole property included, or identify what the trees were,” explained Laura. 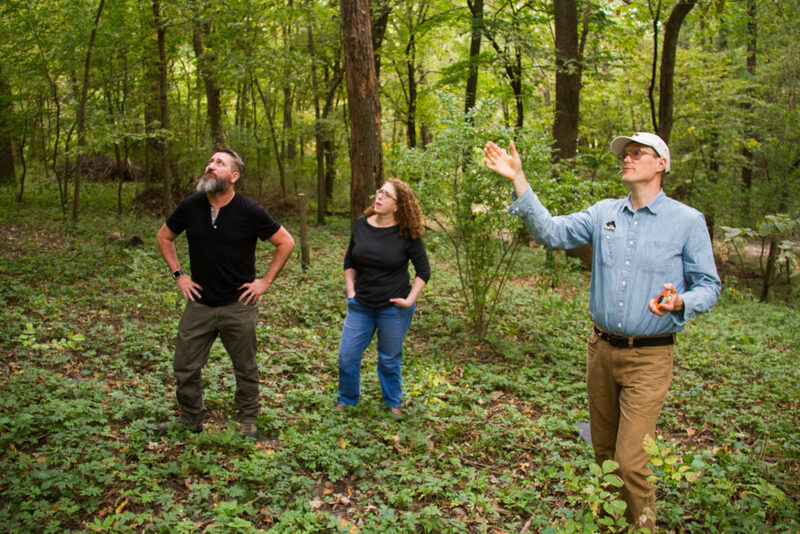 Then, they learned that their neighbor, who also has a wooded backyard, had asked a forester (Luke Gran) to come and walk through their land to help them create a better home for native wildlife. He had explained the structure, conditions, and history of the woodland, in addition to which species they could plant, and which species to remove to improve the habitat. This holistic approach to assessing and managing the woodland was much closer to what Laura was seeking, so she decided to investigate the forester’s company (Prudenterra) online, and then give Luke a call. Understanding the ecology of the forest has enabled Shawn and Laura to manage it to their objectives. 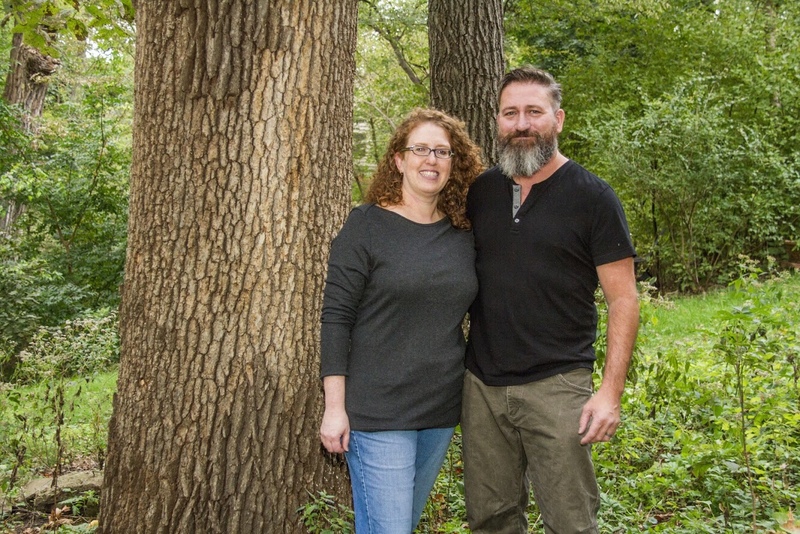 Following the Land Walk, Shawn and Laura began working toward their goals of managing their urban forest for biodiversity and wildlife habitat, making it more walkable and enjoyable, and ameliorating erosion. Luke had explained which shrubs he recommended to be removed (predominantly invasive honeysuckle) through the practice of Strategic Tree Selection. In August, Shawn used a chainsaw to cut out the shrubs, and then applied glyphosate herbicide to the stumps. While removing invasive honeysuckle, Shawn discovered a highbush cranberry. This native shrub provides food for songbirds and other wildlife, and now has room to grow. 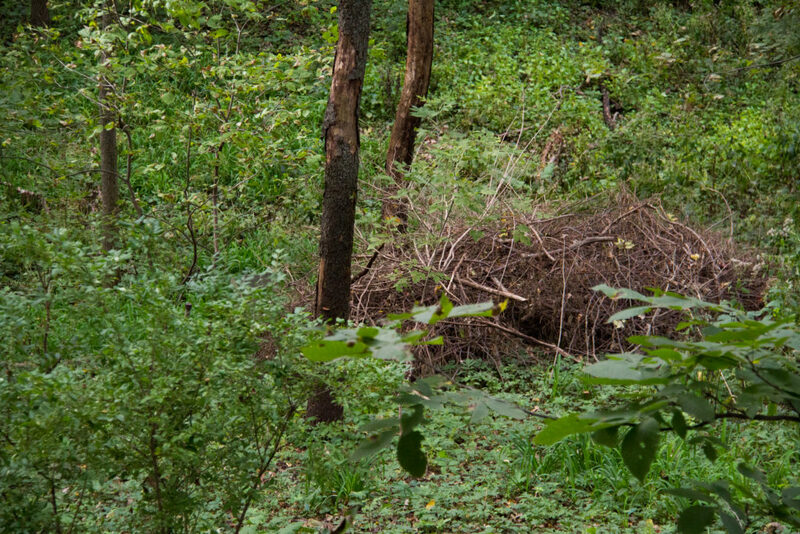 With the woody debris from the honeysuckle cutting, as well as larger logs from previously fallen trees, Laura and Shawn constructed three wildlife brush shelters to provide habitat for birds, pollinators, and other wildlife. 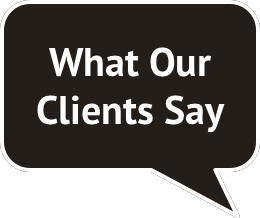 Laura noted, “Understanding the purposes of the brush piles rather than sending all the yard waste away was a big learning experience. This winter we were walking through the yard and just saw the brushpile come to life with how many things were living in there. The birds were amazing.” They now hear owls much more frequently, and have not had mice in the house as in previous winters. Wildlife brush shelters use local “waste” materials to provide high quality habitat for songbirds, pollinators, amphibians and other animals. This will be the first spring since the woodland has been opened up, and Shawn and Laura are excited to see what native species of wildflowers, shrubs, and wildlife appear. They plan to retain the beauty and peace of the urban forest while incorporating a winding path winding to enjoy it more fully. With increased air movement through the woodland, they are also hoping to be able to spend more time outdoors without the same intensity of mosquitos. Looking to the future, Laura and Shawn plan to continue to manage their backyard to meet their goals. “We want to figure out what to plant in the backyard to feed the deer and other wildlife year-round,” mentioned Laura. 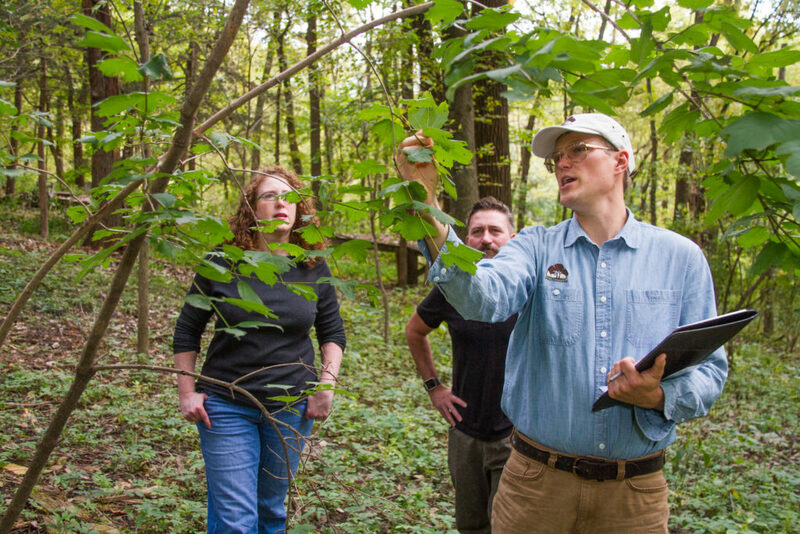 In addition to planting native fruit and nut-bearing shrubs, they may also encourage the next generation of oaks and hickories in their woodland by conducting a prescribed burn this fall.